For the first time in its history, this year’s Pritzker Prize was awarded to a trio of architects, the Spaniards Rafael Aranda, Carme Pigem, and Ramon Vilalta, partners in RCR Arquitectes which they founded in 1987 in the Catalonian village of Olot. 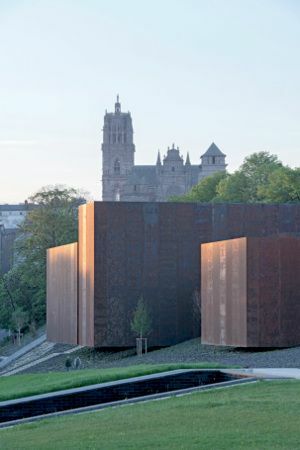 One of their most remarkable creations in recent years, the Musée Soulages was inaugurated in 2016 at Rodez in the foothills of the Massif Central. Composed of five parallelepipeds in oxidized Corten steel, its rust color recalls the volcanic stone of their native Catalonia, as well as the pink stone of the local cathedral. The group is known for using modern, recycled materials such as steel and plastics, and for the purity of forms intimately connected with their natural surroundings. Click here to visit the Pritzker Prize website. In fact, the architects credit the isolation of their rural surroundings with this capacity to work with such intensity, in a contemporary world “that moves very quickly and is very restless … disorienting”, explains Vilalta. RCR Arquitectes was recently selected by the Emerige Group to design an arts center set to open on the Île Seguin, just west of Paris, in 2021. 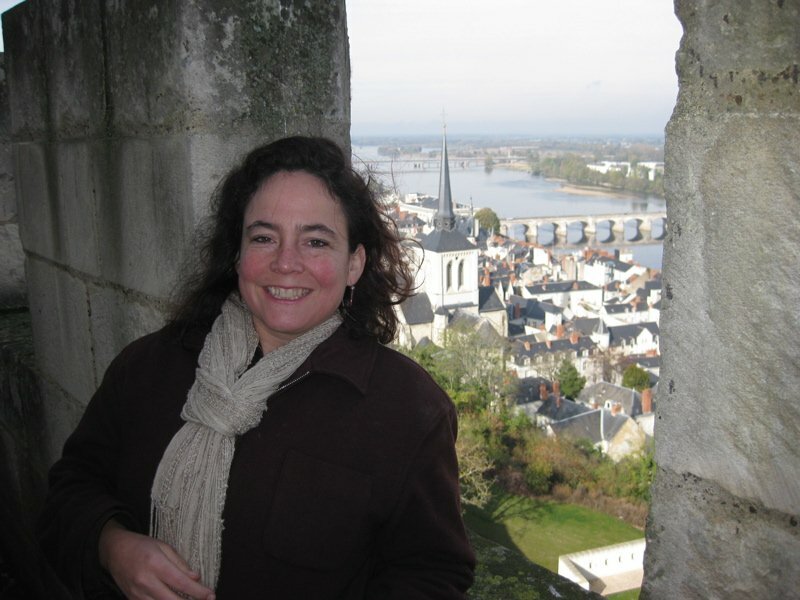 Carme Pigem is the third woman to receive the Prizker Prize since its founding in 1978, after Kazuyo Sejima (2010) and the late Zada Hadid (2004).